Striker Gary Browne is the latest player to sign for Irish Premiership new boys Carrick Rangers as they prepare for the start of the new league campaign on Saturday 8 August. The 32-year-old joins the Taylor's Avenue outfit from Coleraine and has agreed a one-year deal with the club. The forward has played for Belfast sides Linfield and Glentoran, and also had a spell with Lisburn Distillery. Another former Coleraine frontman, Mark Miskimmin, joined Carrick last week. 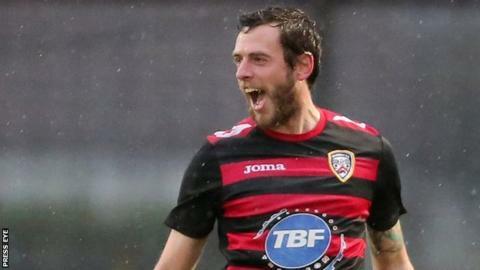 Other pre-season acquisitions for Gary Haveron's side include ex-Ballymena utility player Mark Surgenor, goalkeeper Chris Keenan and midfielder Joe McNeill. Carrick Rangers will begin their Premiership campaign with an away trip to Dungannon Swifts.